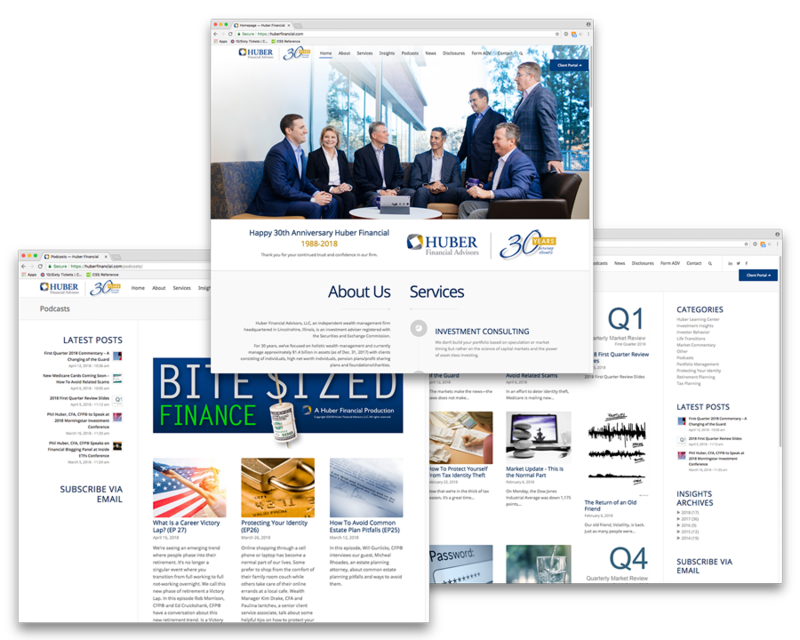 Huber Financial is an independent wealth management firm headquartered in Lincolnshire, Illinois, and is registered with the Securities and Exchange Commission. The clean, friendly, sophisticated and professional character of their website is a reflection of the updated brand identity of the firm. They required an informative and well organized site that they could easily and frequently keep updated with new articles, blog posts and podcasts.